Iron Man is ready for action when armed with his Mega Gear Pack. 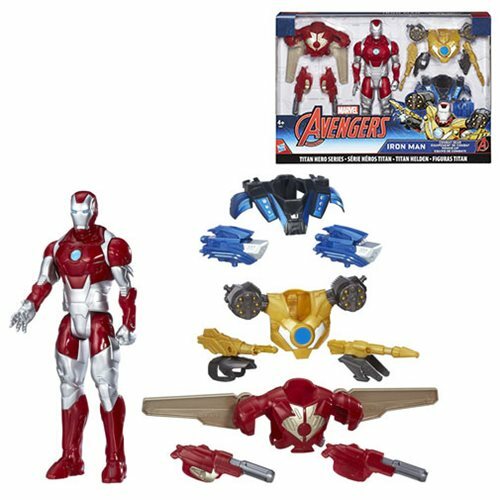 Pack includes one 12-inch inch scale Iron Man figure with unique deco and three sets of themed gear: Air Assault for when the action goes airborne, Arctic Assault for the frozen tundra, and Ground Assault when the fight stays grounded. Gear works with most other Titan Hero Series figures (sold separately). Includes one Titan Hero Iron Man figure and nine pieces of gear. Ages 4 and up.